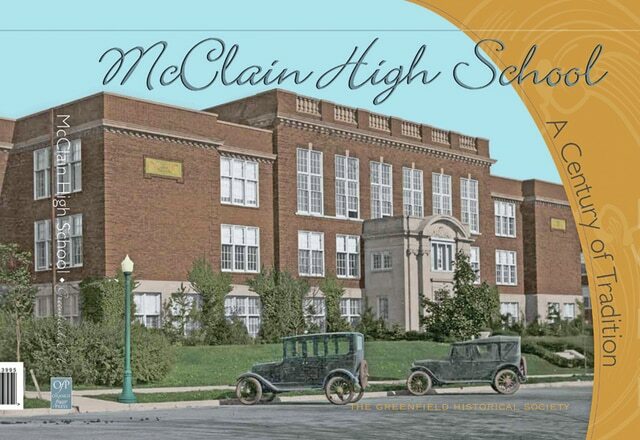 The Greenfield Historical Society’s new book “McClain High School: A Century of Tradition, will be on sale during the Communitywide Yard Sale this weekend in Greenfield. It will be on sale at the Grain & Hay building, 23 Jefferson St., from 8 a.m. to 5 p.m. Friday and 8 a.m. to 3 p.m. Saturday. There will be a reception at Travellers Rest at 103 S. McArthur Way to meet and greet the committee responsible for the book on Sunday, June 14 from 1-4 p.m. Throughout the rest of the summer the book will be on sale Thursdays from 1-4 p.m. at Travellers Rest; during the Greene Countrie Towne Festival in July; and during the McClain High School rededication festivities on Labor Day weekend. It is also available for purchase on the historical society’s website at www.greenfieldhistoricalsociety.org. The price of the book is $40. If you want it mailed, the cost is $48. Send a check with the proper amount with your order to the Greenfield Historical Society, P.O. Box 266, Greenfield, Ohio 45123.